We’re cooking up something new in the Abbotsford kitchen – and we need your help! Here at Abbotsford, we are grateful to our hardworking chefs, whose tireless efforts behind the scenes are the backbone of this organisation. As we say about our kitchen, “It’s where the magic happens”. 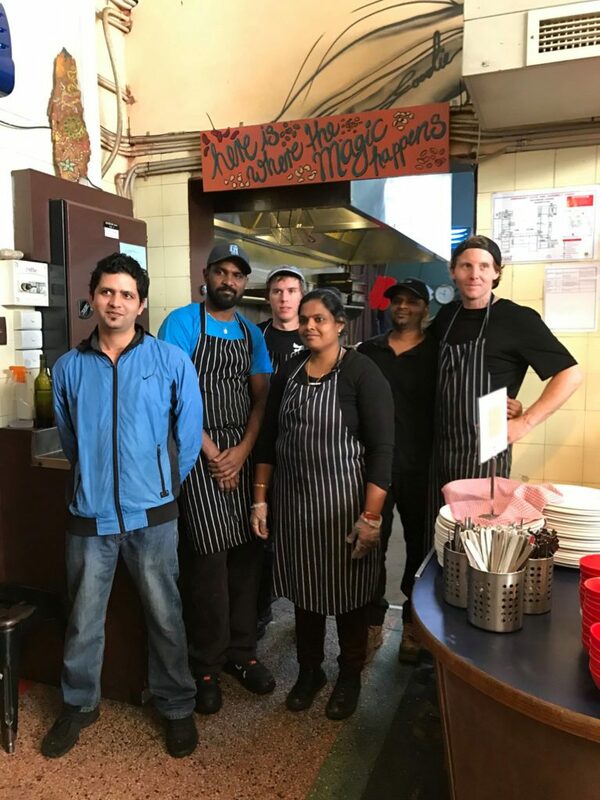 After 11 years of serving up over 4500 delicious meals a week from such a small space, the Abbotsford kitchen has experienced some foreseeable wear and tear and, to be honest, we have outgrown it! We really want to look after our kitchen volunteers as well as our customers, but in order to do that we need your help. Our kitchen, the heart and soul of Abbotsford Lentils, is in need of some repairs. It was our community that saved the Abbotsford convent, and now we hope you will continue to support us. If you love our food and our community please help us reach our goal of raising $60, 000 to help revitalise our kitchen. More than anything, we want to keep serving you some of Melbourne’s finest vegan and vegetarian food! While this money is not nearly all we need, we aim to raise half of the funds through donations while seeking other avenues by applying for grants and attracting sponsorship to reach our full goal of $120,000. If our community can help us raise half the funds, we hope to match your wonderful efforts through any means available to us. The money we raise will go towards new plumbing and flooring, painting and fittings, stainless steel benches and upgraded kitchen equipment, as well as a number of other things needed to keep our kitchen in top condition! We hope that you will give what you can to our fundraising campaign by donating. Thank you to all of you from the bottom of our hearts for continuing to support us, and allowing us to continue to give back to this community. Visit our donations page to find out more and make a donation! Sign up here to get the latest news and updates.